Nearly 1,000 notebook computers are stolen everyday - protect your notebook computer and its valuable data with this affordable security product. The Targus DEFCON Cable Lock (CL) utilizes 6.5-feet of cut-resistant, galvanized steel cable to attach your notebook to any secure object. 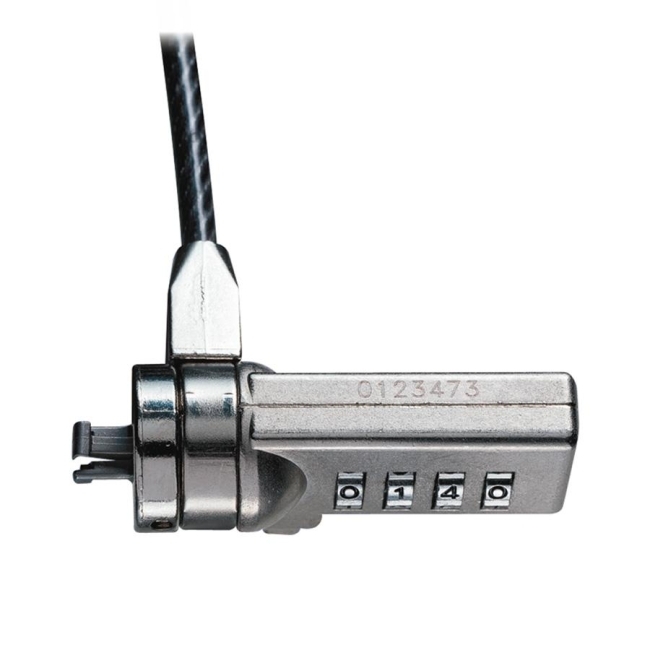 Simply loop the lock around a desk or chair, insert the DEFCON CL into your notebook's lock slot and set the combination. The included security base plate provides another convenient way to lock down a notebook or desktop equipped with a security lock slot. With up to 10,000 user-settable combinations, the DEFCON CL is the first notebook security product to offer the benefits and convenience of a keyless solution.